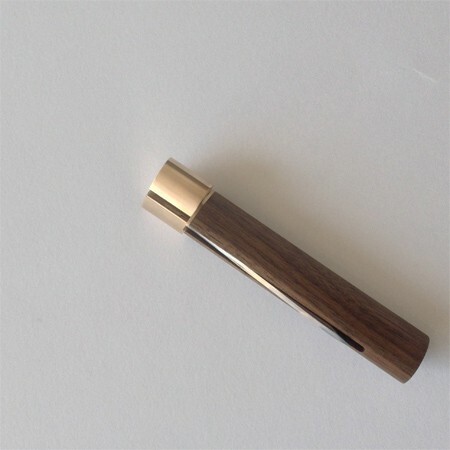 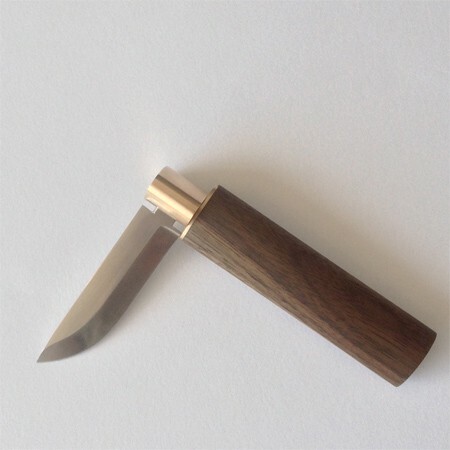 A pocket knife with a walnut handle, bronze fittings and a stainless steel blade. The knife uses a twist lock mechanism inspired by the Opinel range of knives. 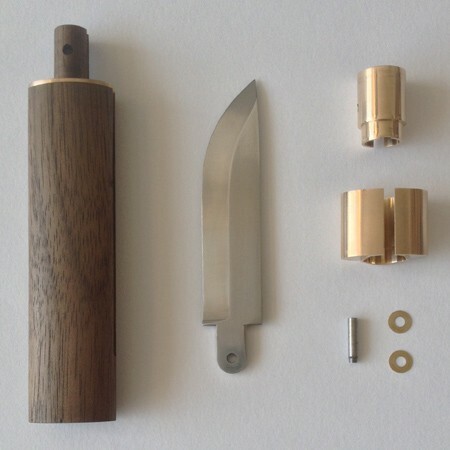 Here is a CAD file of the knife.